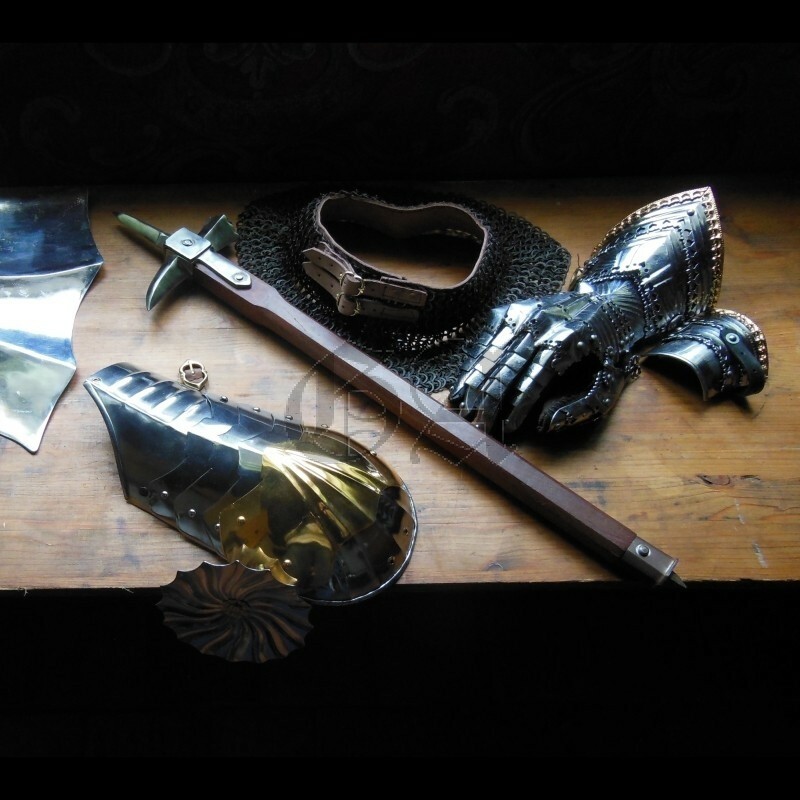 For a knight or a man-at-arms the sword has always been his most valuable and symbolic weapon. Nevertheless, all experienced veteran knew that when facing a fully armourer opponent, the sword was no longer the best weapon to use. For cracking low quality armour, break bones under chainmail, or distort an articulated elbow ones needs a more suitable tool: the war hammer. 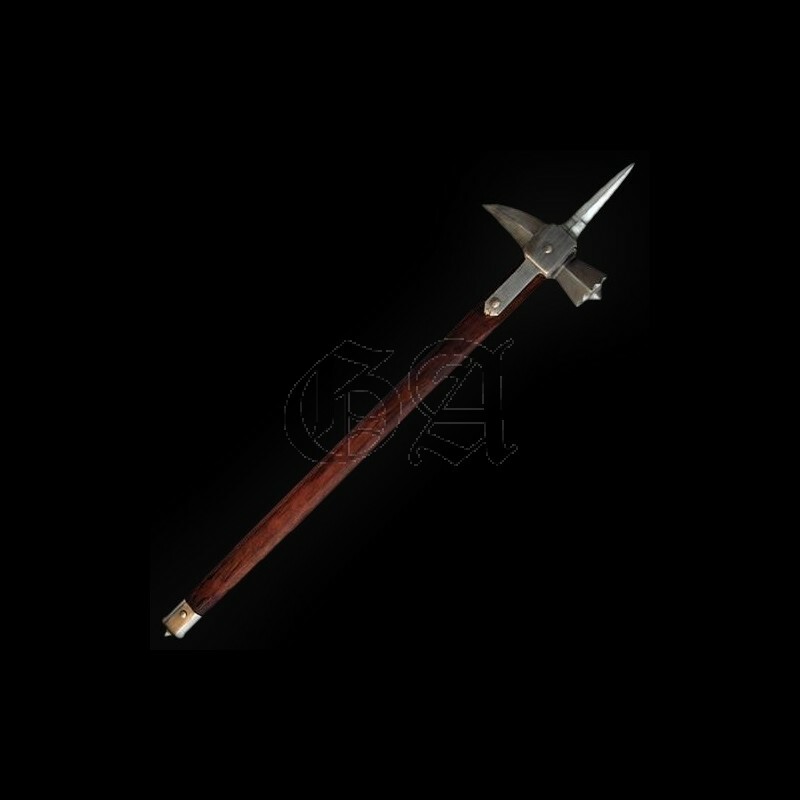 Today we are proud to present you a faithful reproduction of one of these exceptional weapons. 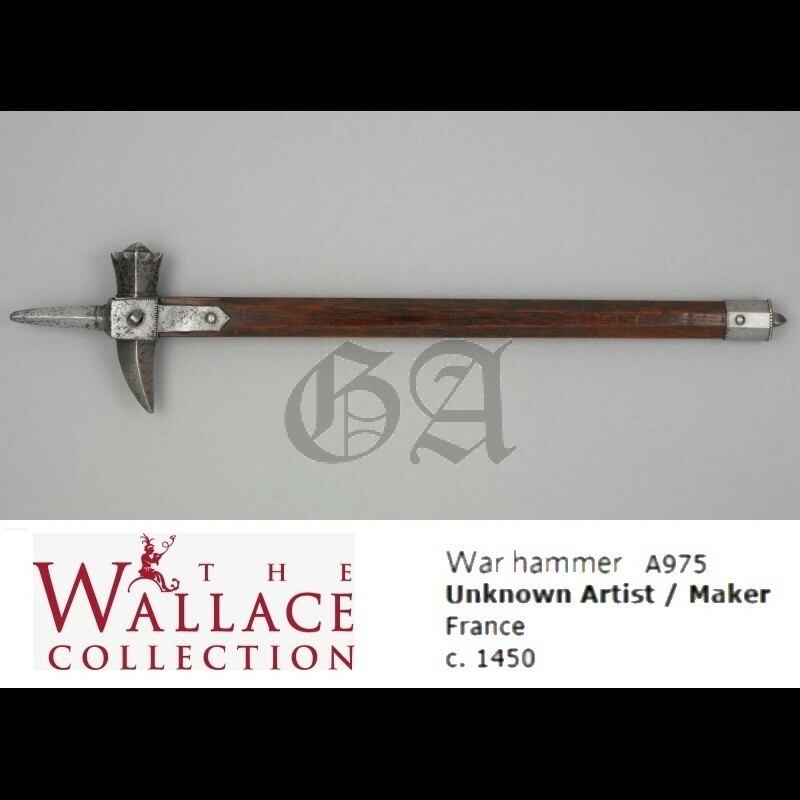 Directly inspired by a magnificent original currently on display at the Wallace Collection in London (see picture), our war hammer is as impressive as his ancestors! 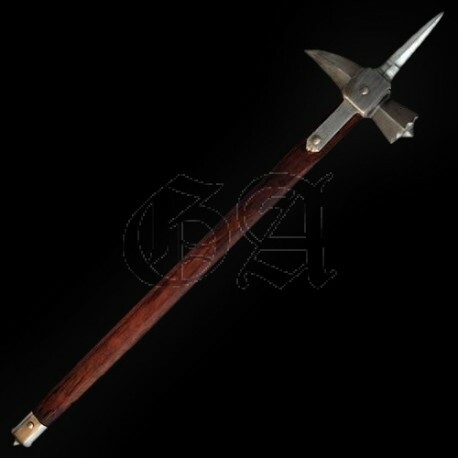 From the War of the Roses battlefields to the Burgundian Wars, the war hammer was appreciated for its versatility, manoeuvrability and its effectiveness against armour. Recent studies have shown that it was one of the weapons used by the Yorkist cavalry pursuing the fleeing soldiers of the defeated Lancaster army at Towton in 1461.